ItemE-08401 - "Bridge on the trail to Moricetown." ItemE-08409 - First Nations settlement; Hazelton. 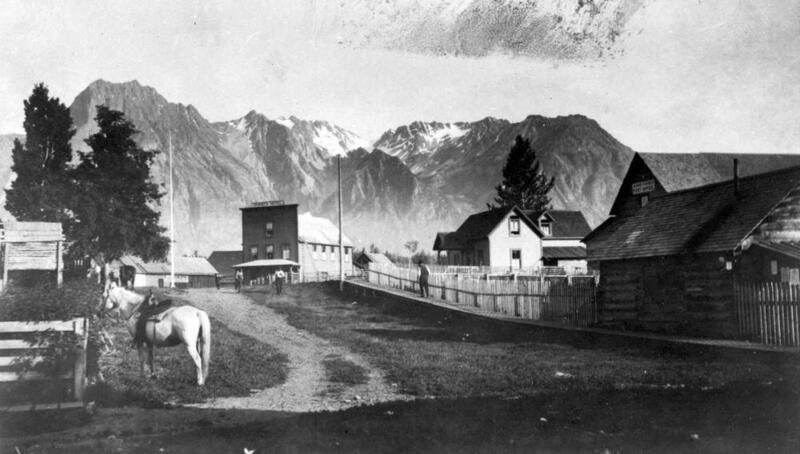 Item E-06567 - Omineca Street in Hazelton.